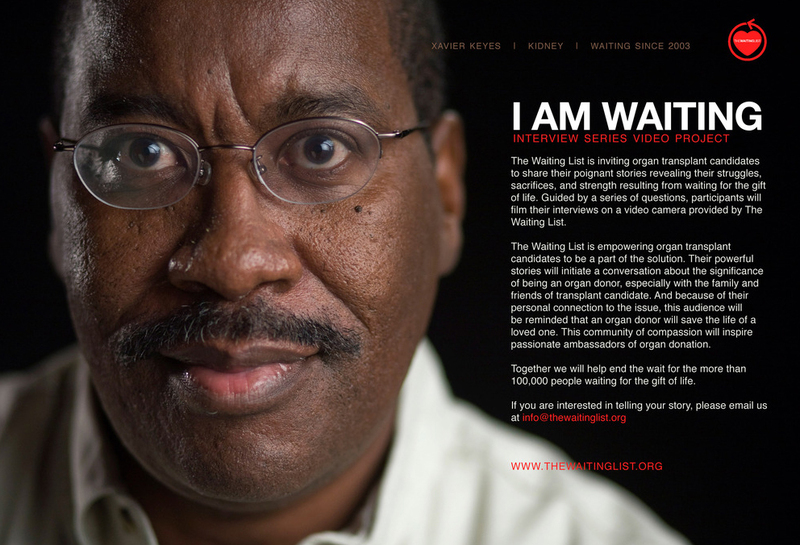 The Waiting List is an online multimedia storytelling project introducing the real stories of real people waiting for an organ transplant. Only 35% of licensed drivers nationally are registered to be organ donors. 90 percent of Americans say they support donation, but only 30 percent know the necessary steps to become an organ donor. Every 12 minutes, another person is added to the more than 100,000 people already on the organ transplant wiating list. Approximately eighteen people who are waiting for a transplant die every day. The Waiting List seeks to inspire people to become an organ donor–a decision that could give the gift of life to an many as eight people. Two years ago I was documenting history as Secretary of State Condoleezza Rice’s official photographer, and as a freelance photographer covering The White House for Time and Newsweek. However after reading the March 22, 2008 Washington Post article, “A Third of Patients on the Transplant List are not Eligible,” I decided to focus my talent and passion as a storyteller to make a positive social change for the future. There are many issues facing the world today that need to be addressed. Poverty. Hunger. Homelessness. Cures need to be found for cancer and AIDS. Health care, education, the environment. This list goes on and on and on. It can be overwhelming. However there is one issue that can be solved with your one simple decision to say YES. Organ donation. This one final act of kindness can save the lives of up to eight people. Though 90% of Americans say they support organ donation, only 30% say they know how to sign up, and thereby resulting in 35% of licensed drivers having registered as organ donors.